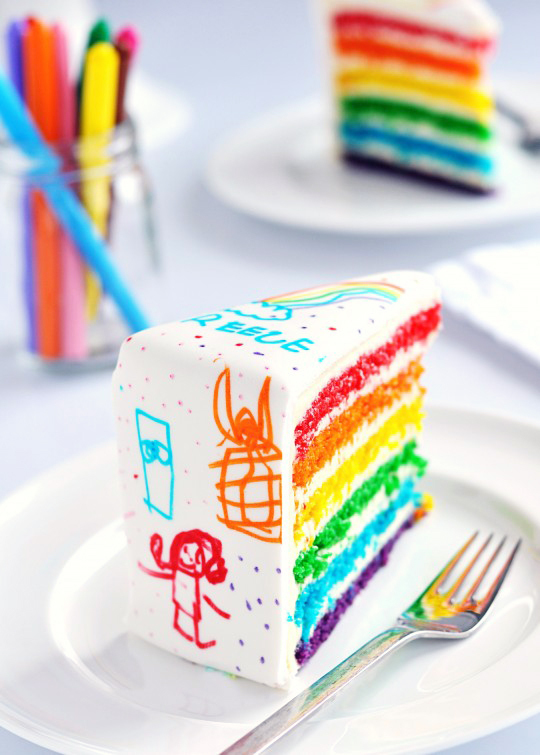 Whether you want to admit it or not you cannot resist a huge slice of birthday cake. It's even better when it's your birthday, right? And it's best when you get a little eye candy before you make that first cut. Sure, it's all about the taste-- but don't want to feast with your eyes first? Sure, you do. 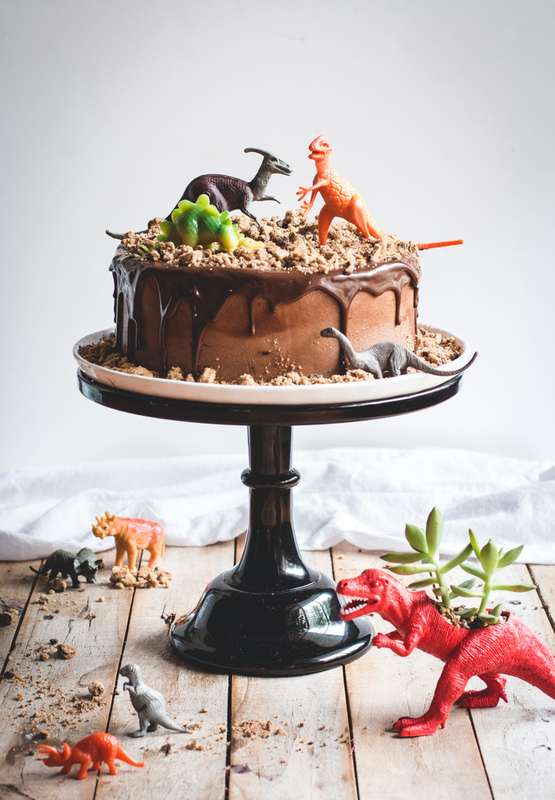 And because of that, whenever we're invited to a birthday celebration and we peep a really unique-looking cake we get doubly excited for cake. 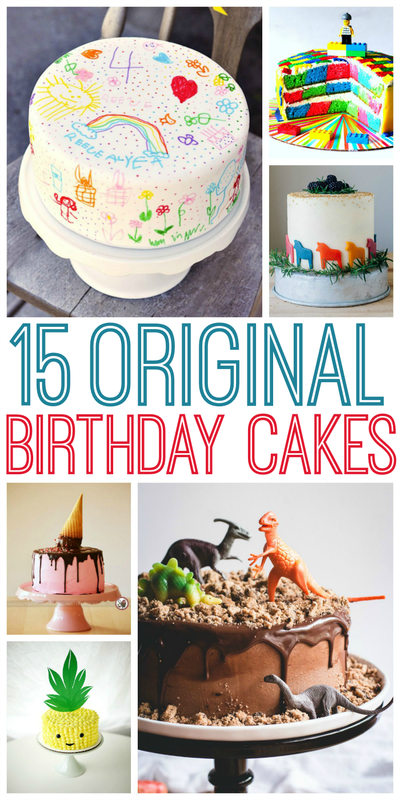 Which is why we're super excited that we found this amazing list of 15 Original Birthday Cakes from One Crazy House. We're talking about a melting ice cream cake, a "paint can" cake, a DIY Lego Cake (which looks somewhat easy to pull off), a cake that combines Chips Ahoy and dinosaurs (see below), a deliciously sophisticated brown butter cake with vanilla bean icing and salted caramel, an ice cream cone cupcake cake, an Instagram themed cake, a Doodle Cake (see below) and more! Check out all the cakes!